Hobnobbing with Giants of of the 1930’s. David Rubinoff is the conductor in this most rare featured 1933 picture. Benny Goodman is the 2nd saxophonist from the right. It is offered by the Ted Lewis Museum in Circleville. 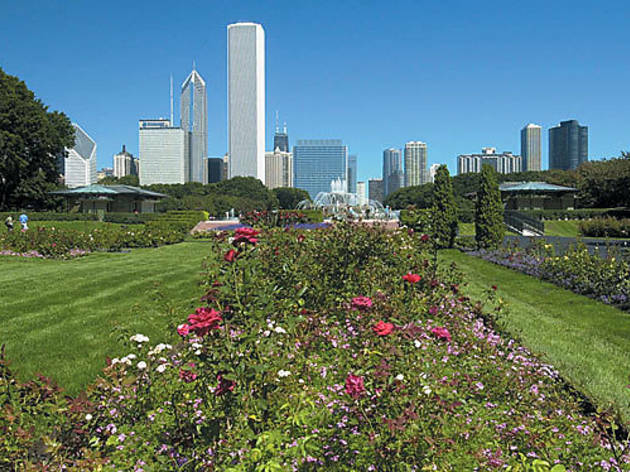 For the best time of your life, visit this museum. Please support the museum. All donations are tax deductible. They are keeping our wonderful, American, big band tradition alive. 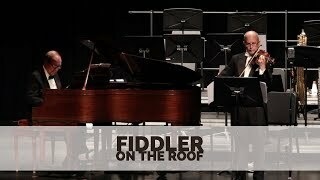 My connection: I was Rubinoff’s personal arranger and accompanist for 15 years. We started our association in 1971. I was a senior in the music program at Wayne State University at that time. Currently, I hold a Master of Music degree from Wayne State. Joseph Rubin is the curator of the big band, Ted Lewis Museum in Circleville. He sponsored me to be part of a special Rubinoff and His Violin commemoration concert. My Rubinoff association association lasted until 1986. That is the year he passed away. The Circleville, Rubinoff event was this last June 2, 2018. I was asked to deliver a half-hour lecture on Rubinoff. Also, I played piano for Rubinoff’s favorite arrangement. We made it together. It highlights a selection of numbers from The Fiddler on the Roof. Click the link below. Even to this day, as you will hear, the audience still responds with wild enthusiasm. Maestro Steven Greenman masterfully plays the violin. Here I am delivering my Rubinoff lecture in Circleville. It will soon be posted on youtube. There I am on the lower right side with Rubinoff. He was in his eighties. More will be posted in the near future. Please, feel free to share this post. Ted Lewis expressed an innermost wish with his famous expression: “ Is everybody happy? Just below is a link to the Ted Lewis Museum. Also, let the distinguished curator, Joseph Rubin, know about your interest. Finally, underneath the museum link is another link. It has yet another Rubinoff story, only posted on our own DSOworks website. In 1889 Paris celebrated the centennial of the French Revolution. They held a “universal exhibition” at the center of Paris. The Eiffel Tower was built for that purpose. The exhibition allowed those who came to sample cultures from Africa and the Far East. They included a Moroccan bazaar, a Chinese pavilion, a Buddhist temple, and even a Senegalese village. A street from Cairo was duplicated. Included was a Congolese settlement of ivory carvers. A Vietnamese theatrical troupe performed. A Tonkinese village featured silk weavers. The 1889 World fair was the gateway to sounds that many composers had never heard before. Rimsky-Korsakov came from Russia. He was also totally taken by these new sounds. 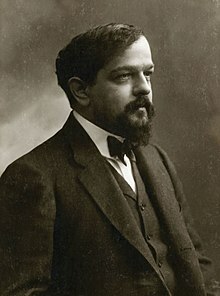 Claude Debussy in 1908. He was 46 years of age. 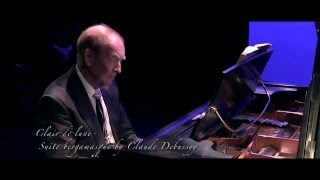 My own recording of Pagodas by Debussy is on the YouTube presentation immediately below. Little Debussy most likely decided then to one day include these sounds in his own compositions. Also, the Oriental music was not written down. It was played on the spot. He wanted his own music to sound spontaneous in a similar fashion- even if wrote it down. Imitating the novel sound of the gamelan, he later would compose his piano piece, Pagodas. He loved how the music did away with the melodic and rhythmic clichés of Romanticism. I would be happy to play some of Debussy’s exotic music for you at the Crab and Fin Restaurant on St Armand’s Circle in Sarasota. The link below gives the specifics. Yes, I am available for piano lessons in Sarasota.